A towering figure in Tibetan medicine is no longer with us. Dr. Tenzin Choedrak completed this lifetime on April 6th, 2001. His clear vision and subtle ability was an inspiration to everyone who worked with him or consulted him as a physician. Beyond even these medical capabilities, which were unsurpassed, his compassion and gentle nature reflected the highest levels of spiritual practice and discipline. 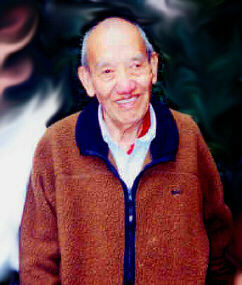 Dr. Choedrak was born in Yakda, Tibet in 1923. His remarkable journeys took him into worlds of knowledge and experiences most of us will only read about. Time with such rare teachers is always too short, and although I was only one among many who sat at his feet to learn medicine, I know that everyone I have spoken with felt that same amazement at his deep inner calm and compassion. His presence itself inspired all of us to higher achievement and focus. I would frequently make the mistake of addressing him as "Rinpoche", which is an honorific for lamas of particularly rare achievement, rather than "Umchee", which is the more correct term for "doctor". I would always be embarrassed, and his eyes would always twinkle with amusement at my faux pas. I think now that I must have been aware how rare and precious such teachers have become. Whether it was a lecture to hundreds at the Natural History museum, or just a talk about his life in Old Tibet over a cup of tea as the Winter winds of Cleveland howled outside his bedroom, Dr. Choedrak could always evoke the magic of a world that no longer existed. Yet, great tragedy swirled around him as Old Tibet disappeared, not least of which was the personal suffering he faced at the hands of the Chinese. For those who are interested to learn more, I suggest In Exile from the Land of Snows, by John F. Avedon. The particulars of his imprisonment are harrowing, and his testimony to the U.S. Congress on May 8, 1996 can be found at the "Save Tibet" website by clicking here. It is a sobering reminder of the true inner nature of the modern Chinese State. Dr. Choedrak bore the scars of his imprisonment to his death, but his life, his words, and his actions all reflected his transcendence of bitterness and anger. Patience and kindness were always in evidence. Would that we all had the courage to be like him. At least, we might never forget his example. 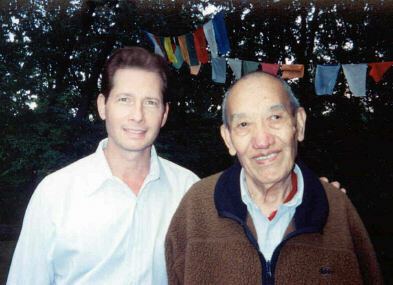 Farewell, great Rinpoche. May your teachings resound throughout the six realms and 10 directions. Tibetan medicine provides some valuable insights into modern and evolving diseases which would benefit all medical professionals. I only met Dr. Trogawa once, and sadly the opportunity to learn from him has also passed. Thanks to J. Crow Company for providing this information on "nyen" disease.